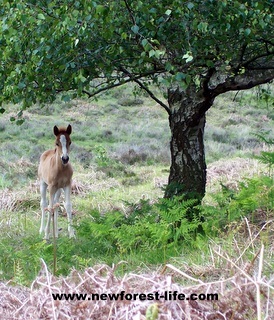 My New Forest foals pictures - they are popping up in lots of places! 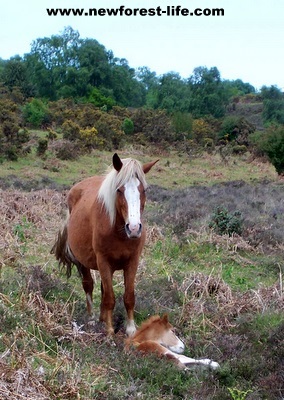 The New Forest foals for 2012 are now starting to appear all over the UK National Park. However, because the weather has been so horribly cold and wet it has been very difficult to take good photos this year. 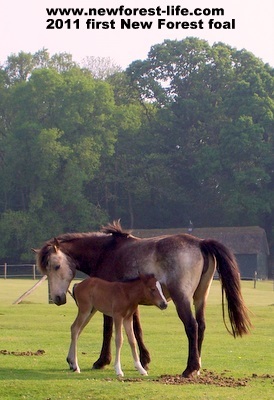 I'm running last years pics until I can take some foals which are totally dried out and enjoying a sunny day! Here's last years foal pics for you to enjoy until I load up the new ones. 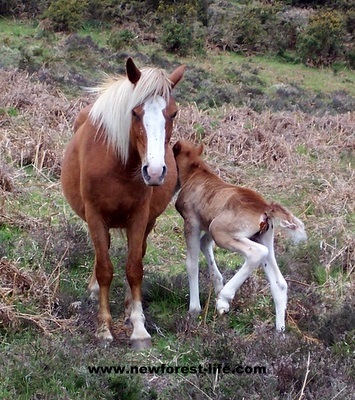 Each year New Forest foals are beautiful, tiny at first but amazingly strong - although for the first few hours, days and sometimes weeks quite gangly! This little foal was standing with his mum near a dried up bog and decided he was brave enough to take a closer look at me. 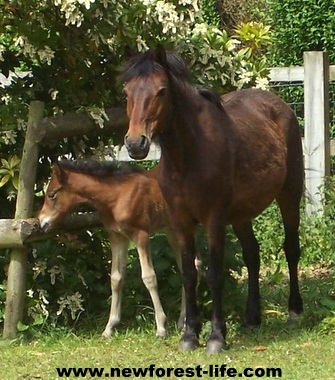 This little filly foal is very pretty and will have a wonderful life ahead of her as a Commoners pony. This little foal ended up looking quite sturdy and shortly after this photo his mum took him off into the longer heather. The poor little chap did find this quite hard going but by the next day he will have found out how effective his little legs can be and be starting to get around much better. Here is the little chap again, having a rest as we arrived to carefully take these photos. 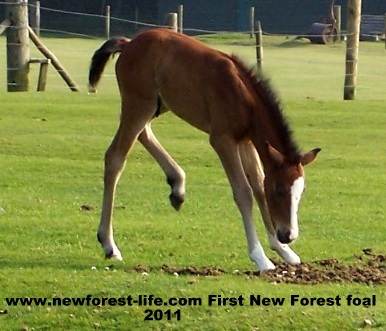 But the little New Forest foal got up, but was wobbly on his legs - as you can see. But he was soon feeding from mum and then became the sturdy little chap we see in the first photo. This little chap is a few days older. You can see he is more balanced and much less gangly and wobbly on his legs than the first little chap! This little chap is quite strong and getting more self assured each day. 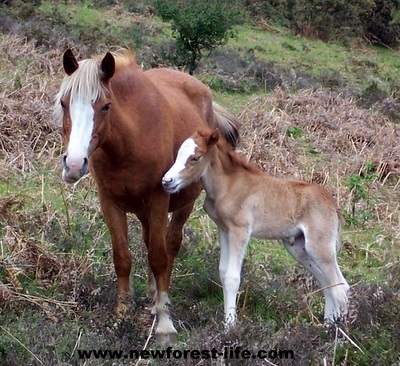 This little New Forest foal has recently been born and is already looking rather beautiful!I hope you have enjoyed the first pictures I've taken of the New Forest foals for 2011. As more are born I'll post them up for you to see and enjoy.